Tandoor Chef, produced by Deep Foods, is a second-generation family owned and operated leading manufacturer of Indian cuisine. Tandoor Chef is committed to producing restaurant quality, all natural frozen Indian food. A quality innovation leader, Tandoor Chef provides exotic flavors and meal experiences, rooted in the convenience of the frozen food category. Tandoor Chef is so much more than great tasting frozen entrées. We’re a family–owned brand that prides itself on presenting a meal sensation that’s rich in Indian culture and flavor, and is all–natural and sensational to experience. In the early 1970's, Mrs. Bhagwati Amin's love for good authentic cuisine gave birth to a hobby. She had a passion for sharing the cuisine and culture of her homeland, and served delicious food to friends and neighbors at every possible opportunity. Soon, small Indian storeowners sought her abilities. As a result, she worked nights and weekends to satisfy her desire to make and serve high quality foods for the broader community. Many advised her to open a restaurant, but she knew that the time required to run a restaurant would detract from her family's needs. In just a short time, her products became very popular. In 1977, Mrs. Amin and her husband began work on what is today Deep Foods – producing a full line of Tandoor Chef frozen appetizers, entrées and side dishes that delight households across the United States. Today the Tandoor Chef brand remains a family affair, now incorporating the second generation who spends a great deal of time in the kitchen, dreaming up new entrées for you to enjoy. Now I am not the type of person to try very exotic cuisine, I am not a person that is up for pickled squid or anything like that… I do like to try new types of foods just nothing too out there. I was very fortunate to be able to try an assortment of Tandoor Chef, frozen Indian Cuisine. Have to admit I was a little concerned at first.. basically because I have never tried Indian food before Would it be spicy would it be too odd for my family to want to eat? I am happy to say we were very impressed with Tandoor Chef, frozen Indian Cuisine, it was a great variety of new flavors that my family loved. Chicken Tikka Masala- with Cumin Infused Basmati Rice Boneless chicken breast marinated, roasted and simmered in a robust, creamy sauce. The Chicken Tikka Masala was my favorite, I have heard such great things about the Tikka spice and sauce, but I never had the chance to try to try it, but I was missing out, this is so creamy delicious and well spiced. I enjoyed this as a lunch at work. The great smell attracted my co-workers and they all said it smelled and looked delicious. And yes it was. Chicken Curry - with seasoned Basmati rice Tender boneless chicken breast simmered and seasoned in a zesty, authentic sauce. The Chicken Curry, was my husband’s favorite, It was spicy and tasty the meat was so very tender and melt in your mouth good. There was a nice spice in the sauce, but it was not overwhelming at all. I know when I think of curry I think of something that is very hot, and just not for me. But not with Tandoor Chef there is just the right amount of spice to give the food flavor, not just heat. My daughter just adored the taste, and she is 8 so the flavor is great for kids and adults. 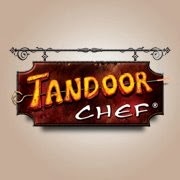 I cannot wait to try some of the other meals available from Tandoor Chef , I am sure we will love them. So if you would like to try something that is different (but not too different) I would highly suggest picking up some Tandoor Chef , frozen Indian Cuisine meals. Your family will surely love these great meals. They are quick to make and are great for a working mom like me. I could have a tasty dinner on the table in a matter of minutes! The generous folks at Tandoor Chef are giving on of Susan’s Disney Family readers a chance to win 5 vouchers for free Tandoor Chef products a $30.00 value. Would you like to win? Please visit the Tandoor Chef website, take a look around and tell me something you learned from the site. There are also other ways to enter, please enter below. I learned that I can find Tandoor Chef at Kroger. I learned that I can find out which drinks to pair with which foods! I learned they have recipes on their site. Thanks so much for the fantastic giveaway! I learned that they are certified by the American Vegetarian Association. I found out that they have vegetarian and gluten free products. They have great vegetarian products, but chicken tikka masala is my favorite! I learned I can buy Tandoor Chef products at my local Health Hut...and I eat the chicken tikka masala regularly and it is awesome! I learned they also sell Naan and Naan Pizza...my family loves Indian food! I learned they have vegan options too. I love their vegetarian samosas! I learned these products are available at the market I shop at! They're certified by the American Vegetarian Association! I learned that they make a pizza, which I didn't know before, even though I've seen their products before. I learned they are certified by the American Vegetarian Association. There are five vegan options!